Forza: Estelon's new flagship series model. Estelon has launched the newest addition to their flagship series, a 1.7m in height, 4-way closed-boxed design, featuring a full set of Accuton drivers, loudspeaker, named Forza. The new model was already premiered in Hong Kong and it will be unveiled in Europe, during the next HighEnd Show in Munich. 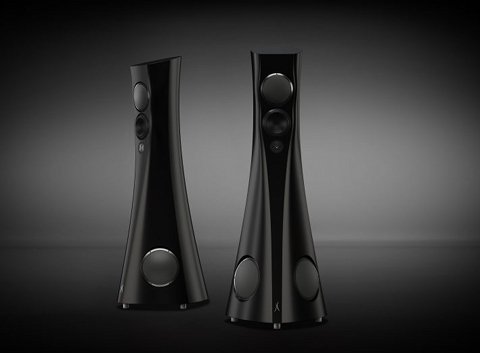 ”Forza is the result of my lifetime experience in designing speakers. I always aim for the perfect synergy between engineering and aesthetics to increase the amount of emotions that is possible to acquire from listening to music. I think I have achieved it with Forza,” said Alfred Vassilkov, Estelon’s Founder and Chief Designer. The first pair of Forzas was recently sent to Estelon’s dealer in Hong Kong, Squarewave Audio. ”I am extremely happy that Forza models have started shipping and we can proudly present the speaker to the public. I hope that it will leave an unforgettable listening experience,” added Vassilkov. Standing at nearly 1,7 meters, the Estelon Forza composes of a single cabinet made from marble-based composite material, and uses Accuton’s latest drivers; two custom 250mm CELL Aluminum sandwich woofers, a custom 190 mm CELL Aluminum sandwich mid/woofer, one 168mm CELL Ceramic midrange and one 25mm, CELL Diamond tweeter. According to the published data, the loudspeaker's frequency response is 25Hz-60kHz, its nominal impedance is 3 Ohm and its sensitivity is 90dB/1m/2.83V. ”The Forza is able to create immense power as well as bring out every small detail. This new model has a very lifelike and precise soundstage, which is the hallmark of Estelon. Slightly smaller than the Estelon Extreme, the Forza with its sleek design and powerful performance is truly spectacular,” the company stated. Besides the first pair in Hong Kong, the Forza will be presented at Shanghai Show in April and at Munich HighEnd Show in May 2019. MSRP in Europe will be around €110,000.